“What a range. I play cops. 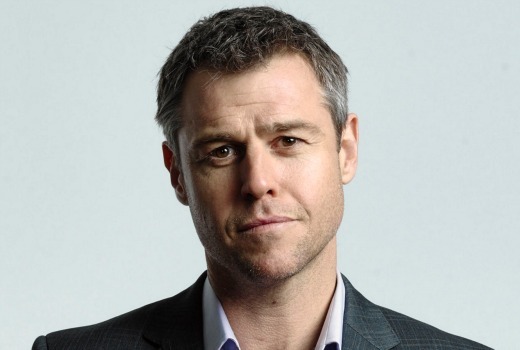 Haven’t done too many doctors though,” Rodger Corser recently told TV Tonight. But that’s all about to change with the ever-dependable Corser now set to star in Nine’s upcoming drama Doctor Doctor. News Corp reported on the weekend he has the lead in the Essential Media drama, an $11.6m series that will generate 800 jobs filming in Sydney and Mudgee. Corser is currently appearing in The Doctor Blake Mysteries, while Nine is yet to formally announce the new series. Oh good, another drama on 9. I look forward to it, I like Rodger Corser. Cant we just have an Aussie drama that isn’t the same as all the rest we’ve had. It always seems to be fish out of water types, cops, doctors and families. Would love it if we could manage to make something left of center. Wentworth the exception at the moment. I know we don’t have US budgets, but we don;t necessarily need them to make new shows with a point of difference. Breaking Bad, Dexter types…. I’ve noted in the past there are very good reasons why police, legal and medical form the basis of long-running dramas. They generate weekly stories, they provide set “homes” that are economic. Australia is no different to the US and UK in this regard. Families are the bedrock of all dramas, whether nuclear or “workplace families.” Wentworth is a prison “family.” Even Game of Thrones has it. The 2 shows you mention also have backgrounds rooted in law / police. Further to that we have indeed had dramas that offer a universe from another point of view, but they don’t always attract the same attention (Foxtel, SBS, ABC). That Doctor Doctor comes from the same prdcrs as Jack Irish, Rake, The Principal is reason to be encouraged. Offspring and Rake are drama-edy’s aren’t they? Hmmm….not a big fan of medical dramas. But Roger is a good actor, not to mention easy on the eye.